1Juice two of the limes and cut the third into wedges to serve with the soup. 2Heat a drizzle of oil in a medium pot and sauté the onion for 3-4 minutes, until soft. Add the garlic and jalapeño and cook for another minute. Add the chicken, stock, lime juice and oregano. Season with salt and pepper to taste and bring to a simmer. 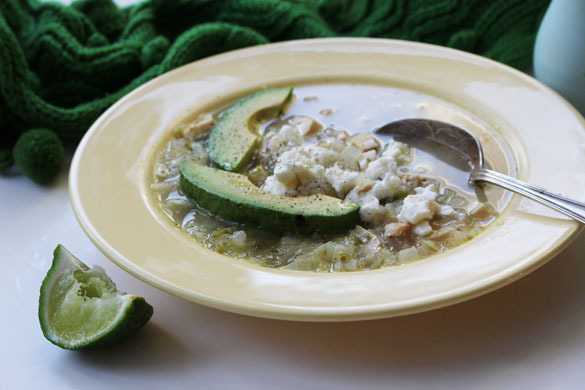 Cook for 10 minutes or so, then ladle into bowls and top with crumbled feta and sliced or diced avocado.